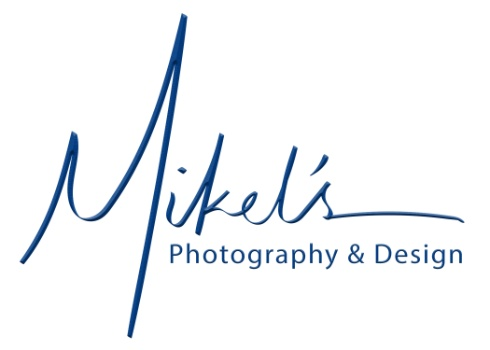 Mikel's Photography & Design has been described by clients as being the friendliest, most relaxed and creative environment to have your portraits taken in. With 25 years of experience, Mikel has developed a passion for capturing each individual's true character in every image to tell their story. In this fast-paced world, everyone knows someone with a camera that can take a decent picture. These images taken and given to you on a CD might make it on to Facebook or Instagram, but then what? What about those milestone moments? Those family gatherings don't happen as frequently as you'd like. HS Graduations, etc. These moments should be art pieces rightfully displayed on the walls of your home, to enjoy longer than a few days online. Let us tell your families story. Come see the difference. With 25 years of experience, you can trust Mikel will have your best interest & image in mind. Whether in the studio or on location we will create the perfect family portrait for you to display in your home for years. See why high school seniors from across the valley are choosing Mikel's for their senior portraits. From the best location to a simple head shot - Mikel's knows what you are looking for to get you & your company seen by others. Eagle Scout, Gold Awards, Baptisms, Missions, Quinceanera, or Military you can count on Mikel's giving it the respect these achievements deserve. Designer Art Pieces are created uniquely to tell your story. Whether you are a gamer, athlete or creating a legacy, Mikel's will portray who you are. We brought our son Odin for a photo session with Mikel, he was very professional, energetic and all around a wonderful man. He made this a fun experience, will definitely be going back again for family portraits and senior photo's, Thank you Mikel for amazing pictures. We would like to thank Mikel for our family portraits. We are very pleased with the professional job you did Mikel! You helped portray the joy, love and beauty of our our family at a very special time....our daughter's Senior year. Our family portraits will be a treasure for years to come. We appreciate your kindness to our family. Being new to Henderson we were so fortunate to have discovered you! You are a kind, thoughtful and talented photographer and met all our desires for a family portrait. We would highly recommend you! Super happy with the results, Mikel gave our corporate group a lot of individualized attention and spent a lot of energy to give us the customized results we were looking for. Very easy to work with, photos turned out great, excellent quality, highly recommend. Your session is customized for you. No two sessions are ever the same. ALL images ordered are retouched to make you look your best. ALL images are printed at the highest quality by our Kodak Certified lab. ALL Gallery and Limited Edition portraits framed by Mikel's are guaranteed for life when properly displayed. All of your purchased images will be archived to ensure their availability to you later. Our mission is to make you look your absolute best - GUARANTEED!